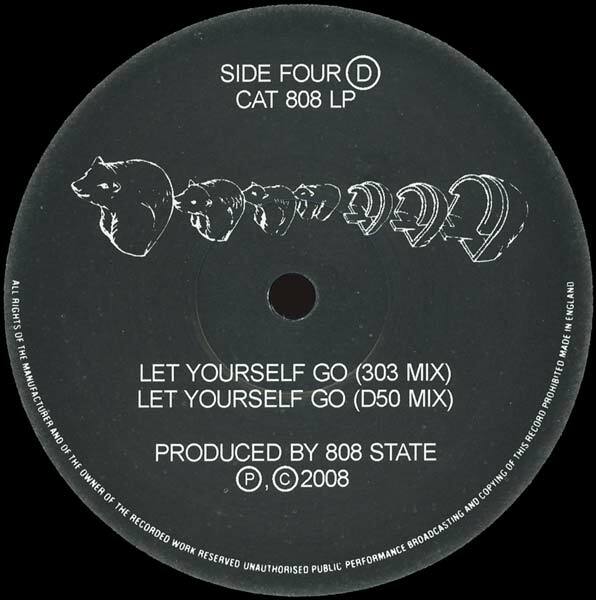 Pacific State / Let Yourself Go (303 Mix) / Deepville / Let Yourself Go (D50 Mix) written by Massey / Simpson / Price. 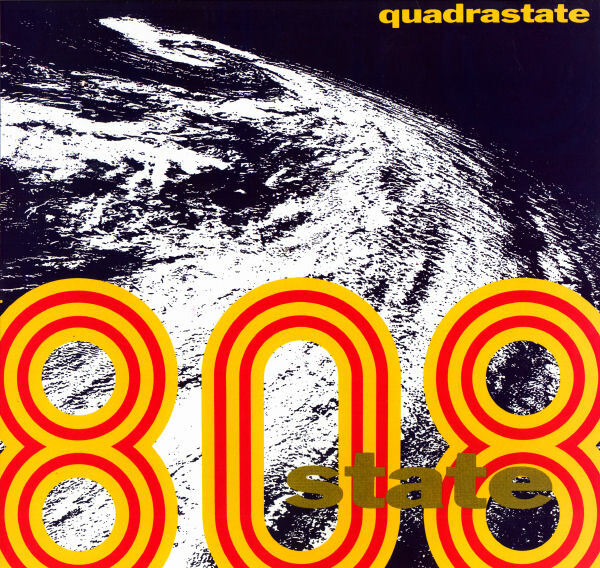 State To State written by Massey / Price / Partington / Barker. 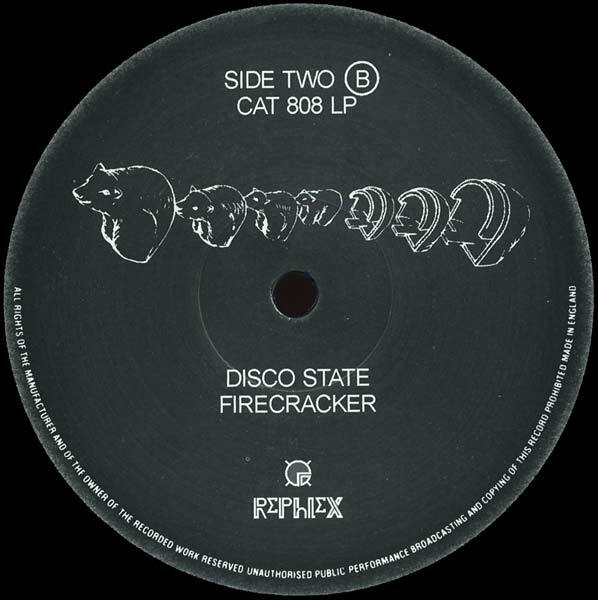 Fire Cracker written by Massey / Barker / Partington. Got It Huh written by Massey / Price / Clark. 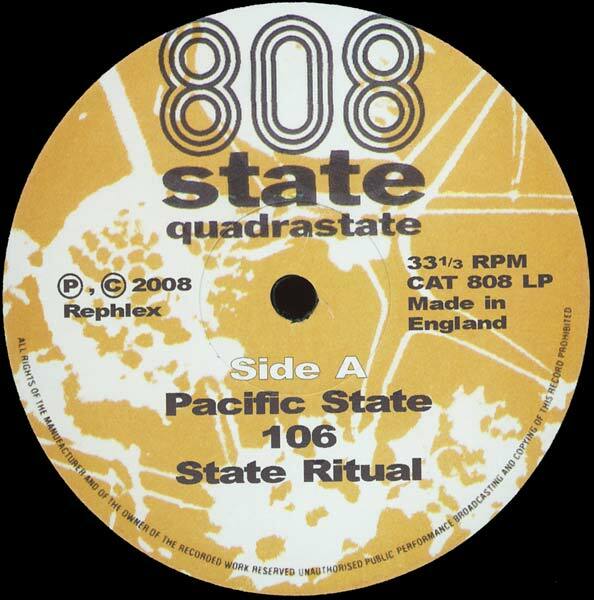 106 / State Ritual / Techclock / In Yolk / State Ritual Scam written by Massey. 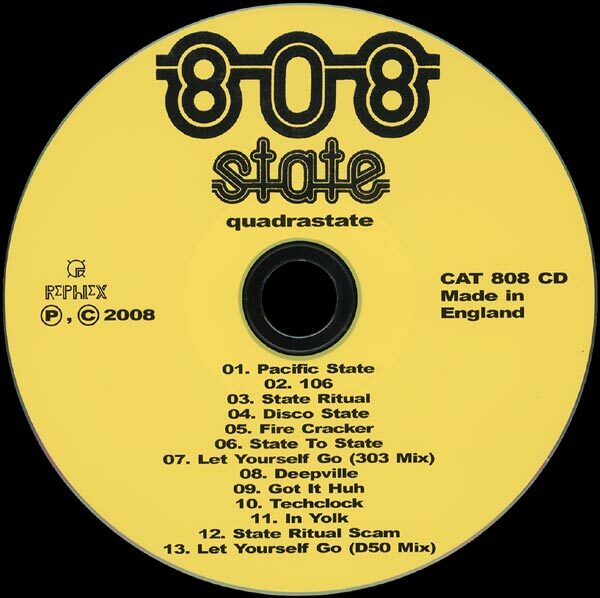 Produced by State 808 for 808 State Productions. 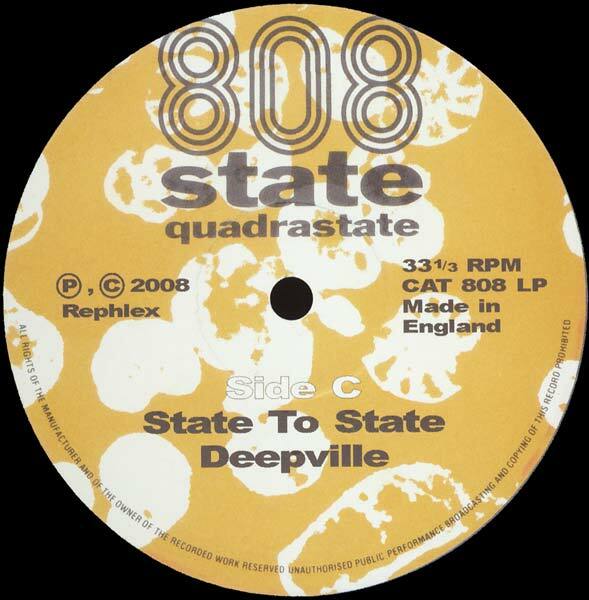 Pacific State, Let Yourself Go & Deepville with Gerald Simpson. 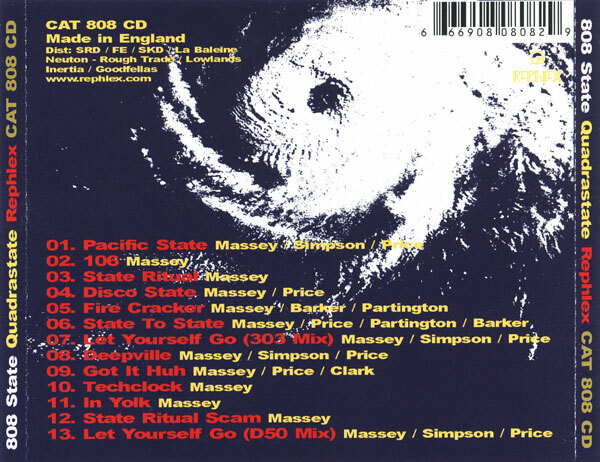 Got It Huh (808 State Vs. Zenarchy, 89) with Adam Clark. 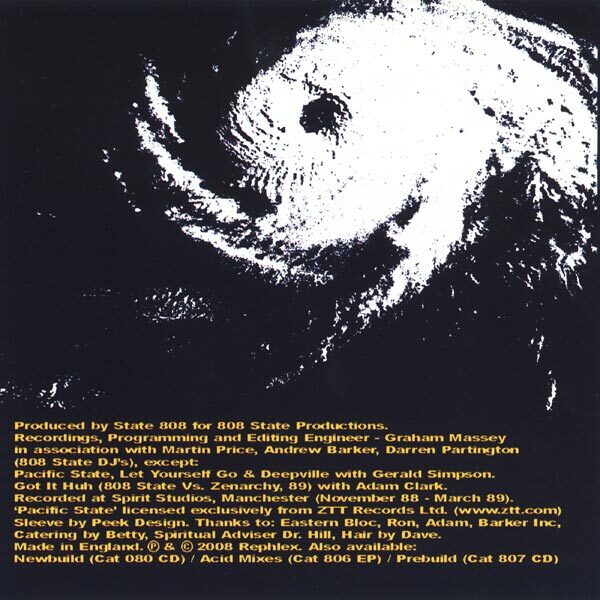 Recorded at Spirit Studios, Manchester (November 88 - March 89). 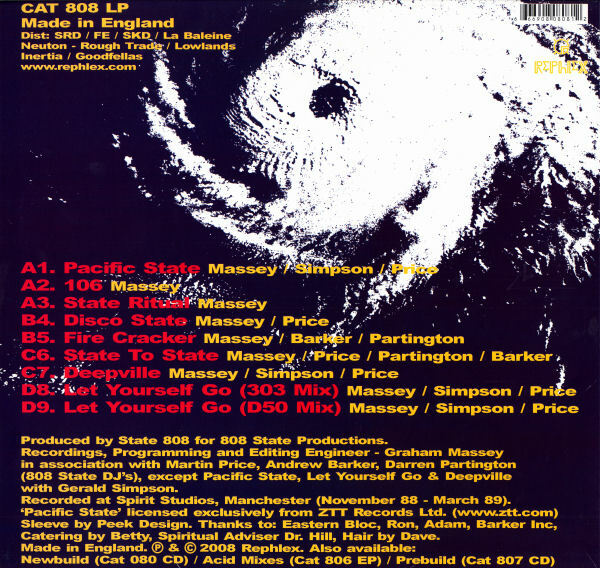 Catering by Betty, Spiritual Adviser Dr. Hill, Hair by Dave. 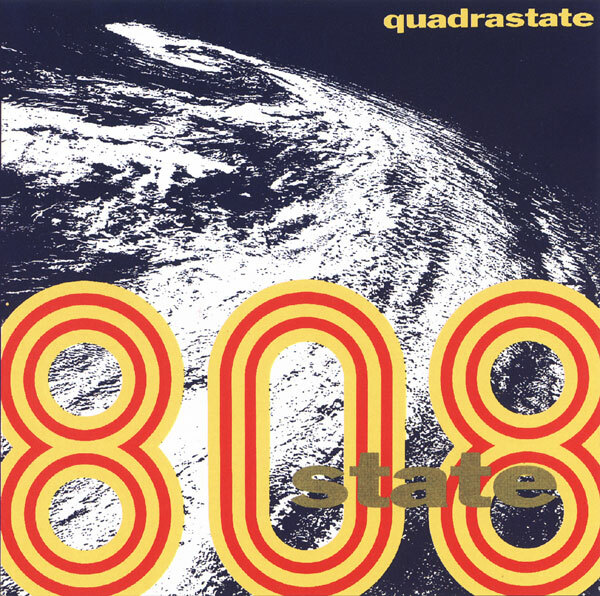 808 State - Quadrastate (Remaster) - UK CD - inlay.